I know it's been a minute since I've posted. I've just had a lot going on in my real life. Sometimes you can find the time and sometimes you can't. I know you guys get that. While I was away I did mange to get two videos out there just not on my own channel. I'm hoping to get some new content up this weekend for you guys. In the meantime I ventured into the world on no line coloring over on the WPlus9 Blog. 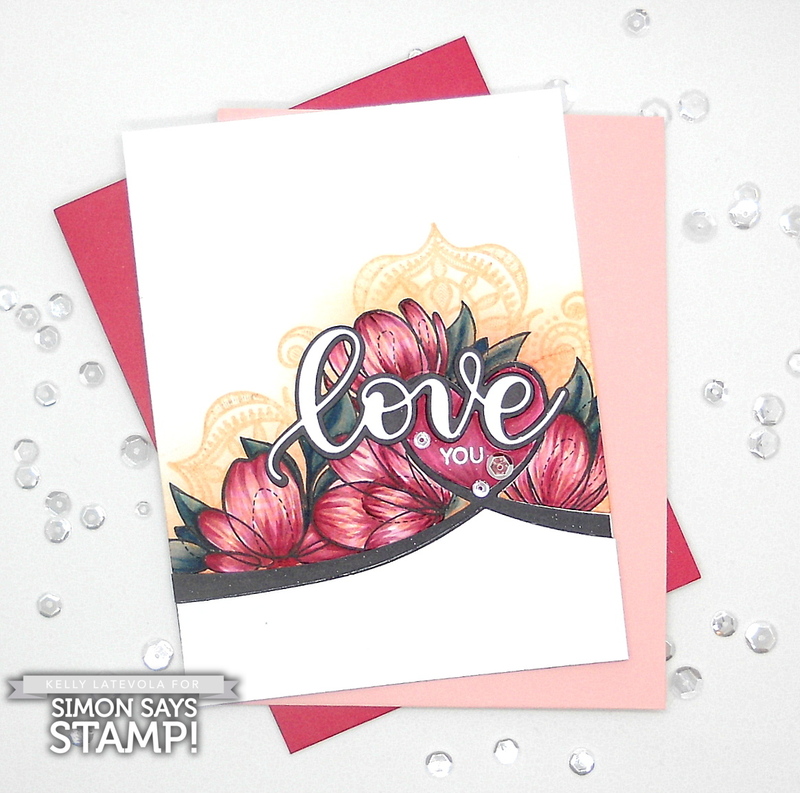 I also share my creative frustration process in making this Valentine's day card over on the Simon Says Stamp blog. I just love how you color Kelly! Beautiful cards Kelly. I am especially in awe of your second card, the combination of those flowers, that swoop-ie heart die and the mandala looking background stamp.